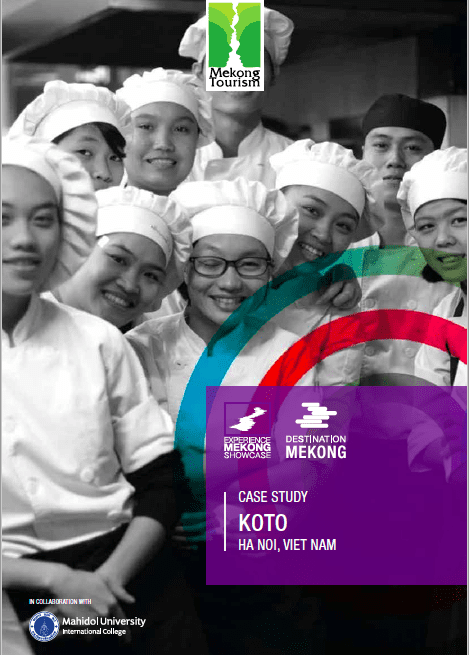 KOTO is an internationally recognised and award-winning social enterprise in Vietnam which operates as a training restaurant and a vocational training centre. KOTO stands for “Know One, Teach One”, a name that reflects strongly in their core belief, values. KOTO operates two inter-connecting entities which support each other through a well-designed business model. The two parts comprise the KOTO training centre (the non-profit organisation), and the KOTO training restaurants (the social enterprise). The KOTO training centre was established in 2001 and since, more than 700 youths having been trained here. Many of these youths are now working with KOTO restaurants and a lot of them have been granted a chance to work in related businesses such as hotels or other restaurants, both in Vietnam and overseas.